If you are going to pay someone to complete upholstery cleaning work, you want to know that they will be worth every dollar that you spend on their services. When you are choosing someone, who will clean your upholstery from the top down, you want to know that they are going to give you the results that you imagined when you first hired them. If you are willing to trust us, we will show you when we can do. When you let us complete your quality upholstery cleaning in Haddonfield, NJ work, we will deliver results that you will love. 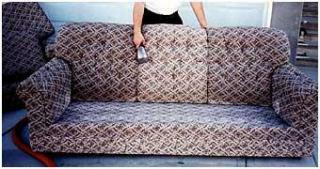 We will change up your upholstery in significant ways. When you let us give you our quality upholstery cleaning services, we will make sure that every part of the upholstery that we work on is thoroughly cleaned. We will not leave any stain untouched. We will not leave your furniture looking worse for the wear, like some might. We will keep all your furniture in good shape as we work on it, and we will deliver the results that you want. We will clean smartly, and we will make a difference on each piece of furniture that we work on and improve. When you let us handle your upholstery cleaning in Haddonfield, NJ needs, we will show up with all the tools and supplies that we need to get the job done. We will be set up with everything that it takes to clean upholstery, and we will get to work on all that you want us to do right away. You can trust that we will handle things well. As you allow us to complete our quality upholstery cleaning work, you will see results that make you happy. You will be satisfied with all that we do for the price that we charge you.